With free Wi-Fi and free parking on site, The Farm Burscough is 17 miles from Liverpool city centre and 5 miles from the market town of Ormskirk. It is a farm shop, tea room and restaurant with 4-star bed and breakfast accommodation. 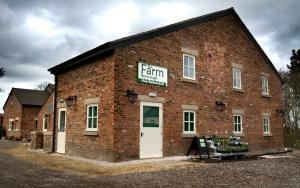 See all The Farm Burscough reviews..